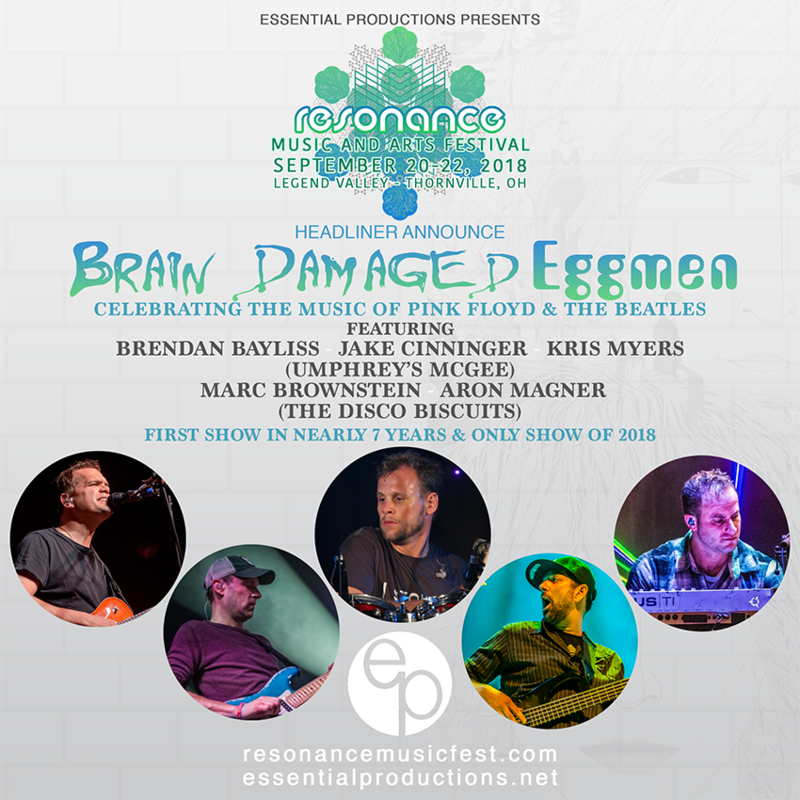 Resonance Festival is thrilled to present the return of the Brain Damaged Eggmen. First formed in 2006 performing a pool deck-closing set aboard Jam Cruise IV, this rare ensemble has only performed a handful of times since including The Vic Theater in 2006, Caribbean Holidaze in 2007, and Summer Camp Music Festival in 2012. The Umphrey’s McGee and Disco Biscuits mash-up features Brendan Bayliss, Jake Cinninger, and Kris Myers alongside Marc Brownstein and Aron Magner (The Disco Biscuits). The band’s only goal is to respectfully and tastefully pay homage to two of their biggest influences, The Beatles and Pink Floyd. Festival information can be found through resonancemusicfest.com. Ticketing information can be found through essentialproductions.cincyregister.com/resonance2018.